Football has the power to change lives. It can bring communities together, rebuild peace and break down barriers. And for children in the poorest parts of the world, football can encourage education, a key factor in moving out of poverty. We’re Football Action, a small charity with big ambitions. It’s our mission to educate and inspire children living difficult lives through the world’s most popular game. Since 2009, we’ve delivered and funded sport for education programmes across East Africa and Central America in partnership with local charities and schools. 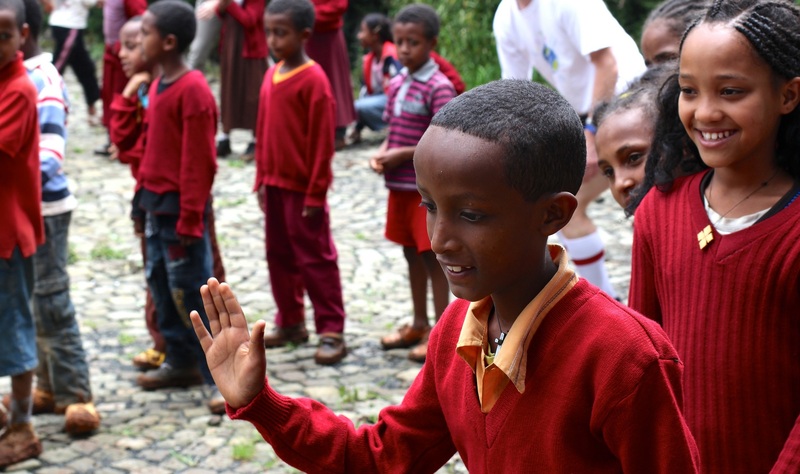 Having started out as a group of 3 football enthusiasts from the UK and Ireland travelling to rural Ethiopia to build a football pitch, Football Action is now an established charity with projects in four countries of the world. We give hundreds of school children the opportunity to play football and learn new skills by employing local coaches and providing kit and equipment. Did you know that Football Action was set up in 2009 after three of our trustees went to Ethiopia with a bag of footballs? We’re still run entirely by volunteers and trustees meaning that every penny we raise goes directly to our projects. We work with incredible schools, charities and funders around the globe. Without their partnership, we wouldn’t be where we are today.